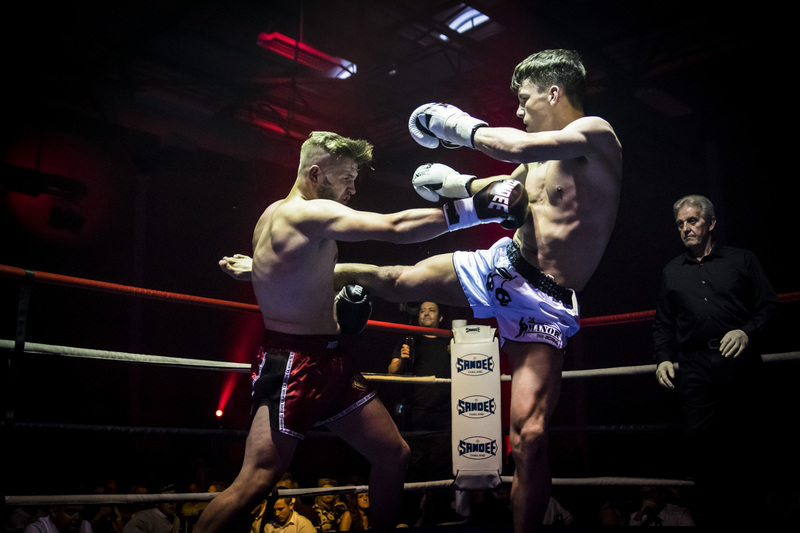 Newark’s biggest and best fight night returns to the Magnus Sports Centre next month, with an action-packed card showcasing the skills of amateur, semi-professional and professional K1, kickboxing and boxing stars on The Road To Glory 3. With no fewer than nine of the 11 match ups featuring home-grown talent from Suggy’s Gym and NMA taking on opponents from some of the UK’s leading clubs, local fans are expected to turn out in force to show their support on Saturday 1 October. Top billing of the night goes to Newark’s 18 year-old Bailey ‘BadBoy´ Sugden, who will be out to extend his unbeaten pro record when he takes on the current Ultimate Gladiator champion Irtaza Haider of Paul Daley’s gym, Spirit Dojo. The two go head to head at 65kg max, over three three-minute rounds under K1 professional rules. On the amateur card, the headline fight sees another local favourite competing for the European Cadet Title. Fighting under K1 rules over five two-minute rounds at 56kg max, NMA’s Megan Williams is up against Noelia Pulido Rueda from Spain’s Spartans gym. The action kicks off at 7.45pm with Connor Meanwell, Connor Walsh, Jason Freeman, Tom Mulligan, Ben Wint, Tom Grocock and Emma Porter all looking for wins for Newark against fighters from Manor Thaiboxing, 4th Dimension and The Elite Fight Academy. The card also features two further fights under K1 professional rules, with Jack Layton of Spirit Dojo up against Storm Gym’s George Davies and Manor Thaiboxing’s Robert Barry taking on Kick Fit’s Amarjeet Singh. Public weigh ins for the three professional fights will be held at 6pm on Friday 30 September at Suggy’s Gym, 49 Castlegate, Newark. Tickets for The Road To Glory 3, priced £40 VIP ringside, £25 standard and £15 for under 16s, are on sale via the hotline (07816 840920) or from Suggy’s Gym.